The Collavini story began in 1896 in Rivignano, where the founder Eugenio Collavini supplied wine to the stores which sold to the noble families of Udine. Eugenio’s son, Giovanni led the winery through the first and the second World Wars. The baton was then passed to Giovanni’s son, Manlio. Upon taking over the winery, Manlio moved the wine cellars to the most suitable terroirs of Corno di Rosazzo and here Manlio introduced the advanced science of oenology to his vineyards. Manlio is a pioneer, who produced a new Pinot Grigio fermented off the skins. In 1971, he created Il Grigio, trend-setting sparkling wine, similarly derived from the same Pinot Grigio grapes. At the end of the same decade, Collavini began producing sparkling Ribolla Gialla, utilizing the same method as IL Grigio. 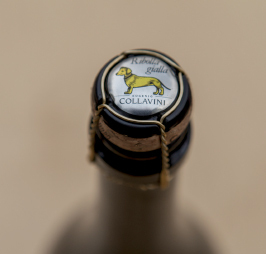 Despite its current international fame, Collavini remains a family-owned company and continues to be managed by Manlio and his sons Giovanni, Luigi and Eugenio.